Hello friends. Today, I am sharing two similar cards. The card on the right might be for a beginning stamper. 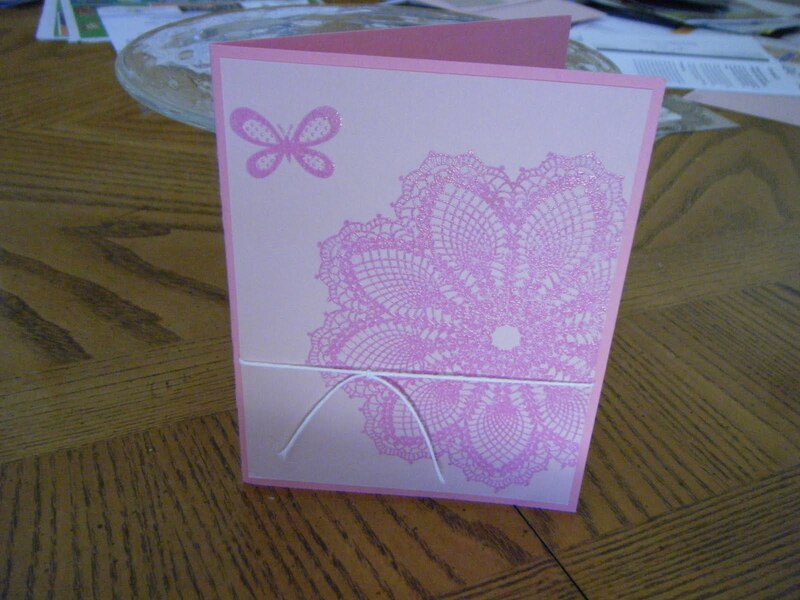 The flower was stamped on Pretty in Pink cardstock. 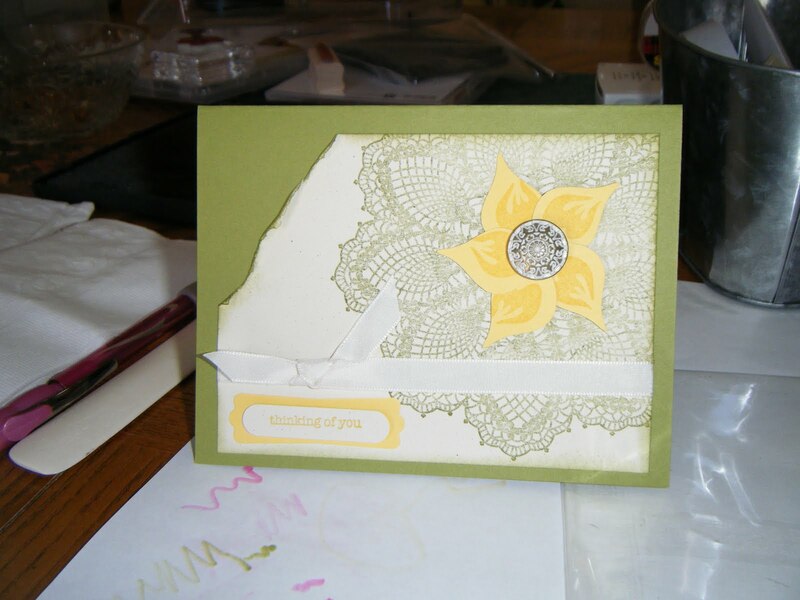 The layer sitting on the black card stock was punched with the new lace punch. I love the antique floral look this punch provides. 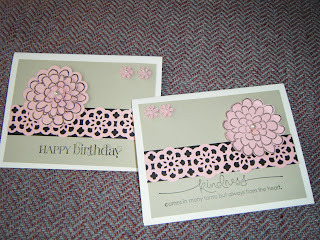 I used the Flower Fest stamp set and black ink to create the pretty flower. The sentiment comes from the Heard from the Heart stamp set. The card on the right might be for someone who doesn't mind using scissors. This is the card I prefer and so did my ladies. For the sentiment, I used the Curly Cute stamp set. The flower button are from the Subtles collection. Both cards are in Whisper White with a layer of Sahara Sand. Of course I had to add something pretty to beautify the cards ... pearls. Thank you for visiting. I hope you enjoyed today's share. Have a blessed day. Hello friends, Does this card look familiar? I cased it from the 2011-12 catalog. Take a lookie on page 213. You like? The card base is Old Olive card stock and the top layer is Confetti White. The Doily is stamped in Old Olive ink. To the center of the doily are petals from the Build a Blossom punch and for a lil' pizzazz, I added an antique brad. 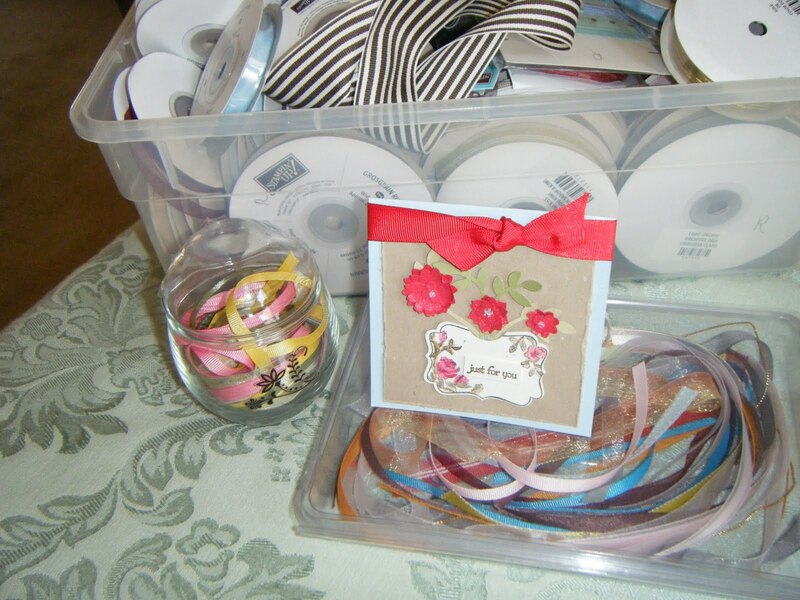 To finish off this easy to make card, I added Very Vanilla ribbon and a sentiment on the Word Window punch. To hold it in place is an other punch (Modern Label). Stamp sets used were Teeny Tiny Wishes and Hello Doily. For a little interest I also did some tearing on the left side of the card with a hint of distressing. How would you modify this card? Thank you for visiting. I do appreciate your comments, so don't be shy, please leave me a few kind words. Have a blessed day. Hello friends, How are you? It's been a while, hasn't it? I got busy with making swaps and life around here. All good. It's nice to be back. I attended the regional in Henderson, Nevada this past Saturday. The presentations were so informative and presented with lots of humor intertwined. I loved it. I received many great swaps. There are so many talented stampers within the Stampin' Up community. I met Sherrill Graff!!! I took her business boot camp a couple years ago and learned so much from her. If you want to grow your business, I recommend you hook up with her. The ladies in my group were a kick to be with. Never a dull moment. Nine of us all chattering simultaneously. Can you imagine?! We certainly know how to have fun!! I hope my blog posts will be more consistent from here on. Hello friends, do you recognize this card? 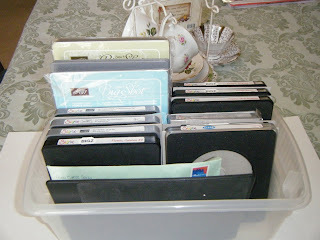 Take a lookie on page 126 of our Stampin' Up catalog 2011-2012. Notice the changes I made? What do you think? 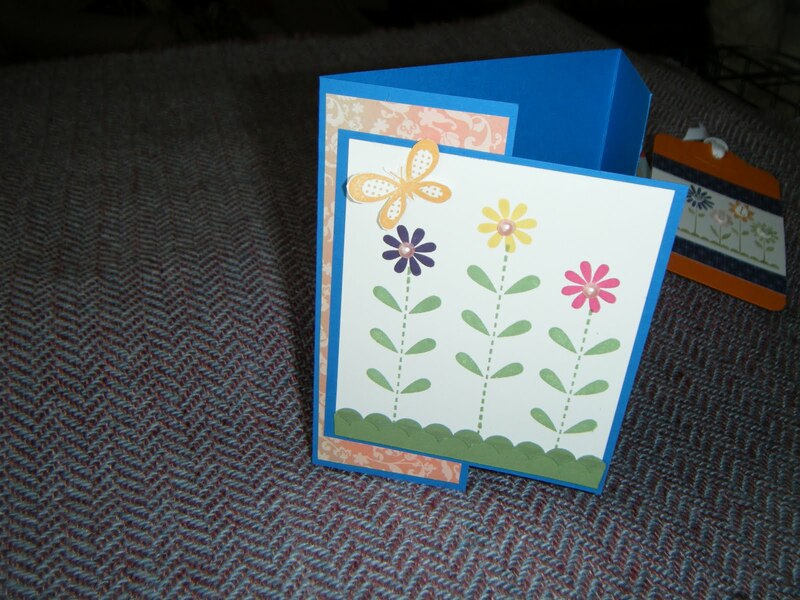 Such a simple card to make. The card base is Pretty In Pink. The front layer is Pink Pirouette. I used Versamark and Melon Mambo embossing powder on the doily. 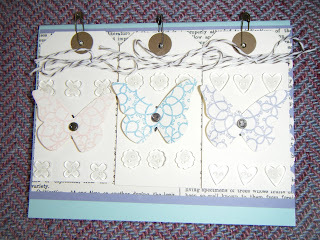 The butterfly is from the Bold Blossom stamp set and I'm sure you already know I used the single stamp from Hello Doily. No, I wouldn't call that a string on this card. Ha ha. It is white twine. Thank you for visiting today. Have a blessed day. Happy Wednesday friends, My day yesterday with my niece and her children was filled with laughter. What could be better? But I haven't told you about Monday afternoon. I was feeling like I could not go one more day without a haircut. Of course I went to get get a haircut. I should have waited two days or better yet gone somewhere else. My haircut is so short!!! I can't believe it!!!! I won't need another cut for six months!!!! Talk about having a no good very bad hair day! I will have 30 days plus 30 more no good very bad hair days! O well, it will grow back. Oh, the card. Yes this card is familiar because I cased it from page 197 in the Stampin' Up catalog. I had to give it a try as soon as I laid eyes on this card. I think I will do a make over of this card. Perhaps different colors and I want to modify the lay out. I'm still working on swaps for Regionals. So it will be a while before I can redo it. Well thank you for visiting today. I have another class to prepare for so I might not be back until next week. Have a blessed day. Happy Tuesday morning to you all. I have company coming today. So it will be a terrific Tuesday for me. What are you doing today? Today's card is like the one I saw on Stampin' Connection. I wrote the lady's name down somewhere but I can't figure which name to use. Huh? Well, do you ever write down a phone number but don't know who it belongs too and you're embarrassed to call it? I have seen several ladies use this lay out but I don't know the originator and I can't just pick a name either. So thank you anyway to all of you and to Stampin' Connection for providing us demonstrators such a useful and fun resource. 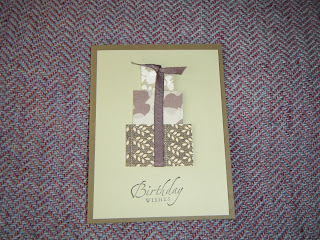 This card was made with retired designer paper. 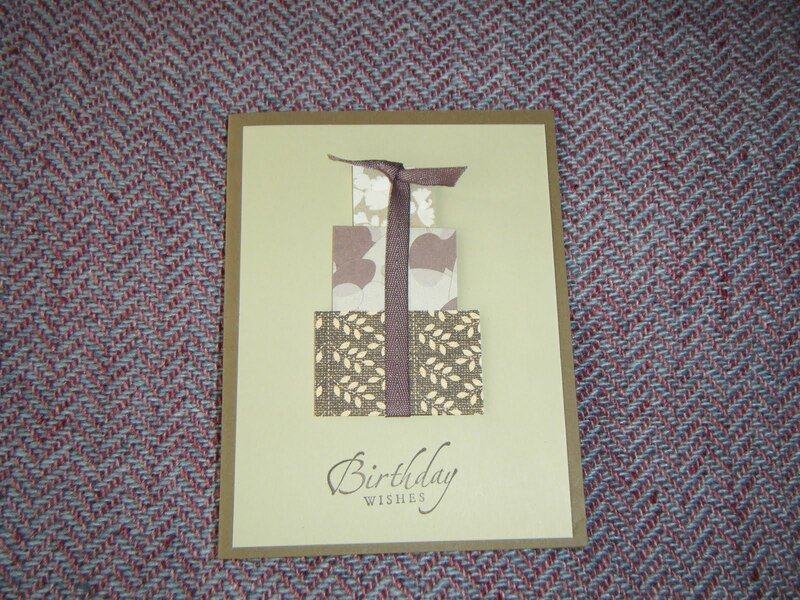 The other card stocks are River Rock and Soft Suede. The stamp comes from Sincere Salutations. 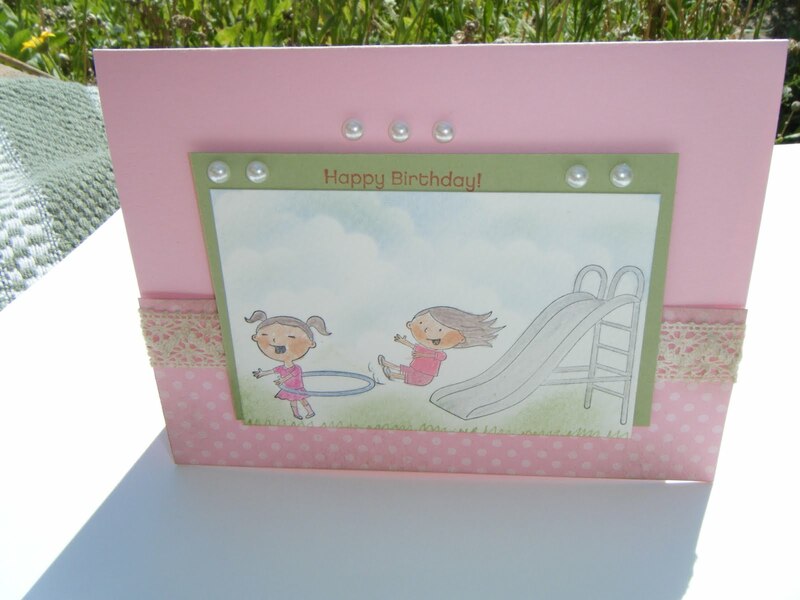 My guests enjoyed making this card as it easy and quick to create. I plan to make more of these but with different colors. Thank you for visiting. Have a fun and blessed day. Here are the swaps (maybe). I've used two embossing folders. The background folder is Perfect Polka Dots and the focal image is the Elegant Bouquet embossing folder. The card on the left is in Perfect Plum and contrasted with More Mustard card stock. 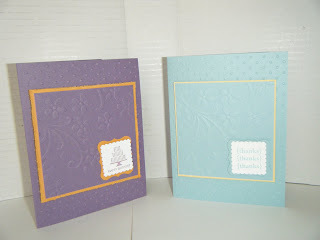 The card on the right is Baja Breeze and contrasted with So Saffron. The stamp set is Pretty Postage. For a speedy job, I used the Curly Label punch as well as the Postage Stamp punch. What would I do without my Big Shot? It's my favorite tool and a must have. If I come up with other possible swaps I will let you know. So please stay tuned. It's so nice to be with you again. Have a blessed day. Hello friends. I hope all is well with all of you. I'm staying busy. At the present time I am working on swaps for Regional. I'm going to Vegas, Ladies! The cards I am going to show today might be my swaps. I'm still thinking about it. First, I chose the stamp set I wanted to use. 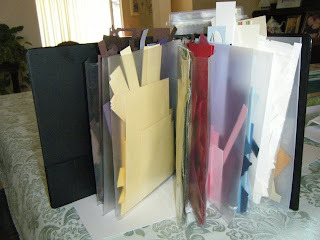 Next, I took a visual inventory of my card stock to see which colors were available for use. In my head, I already knew I would use the Big Shot to help make the process easier and faster. So stay with me, if you want a glimpse of the potential swaps. Who's that looking at me? Hello friends, Who's that looking at me. It's Pierre looking at me. Let me introduce you to my most loyal friend. Always happy to see me. He tolerates my absences and loves me no matter what. This is Pierre again. His groomer is a scrapbooker. She scrapbooks all of her customers (dogs). 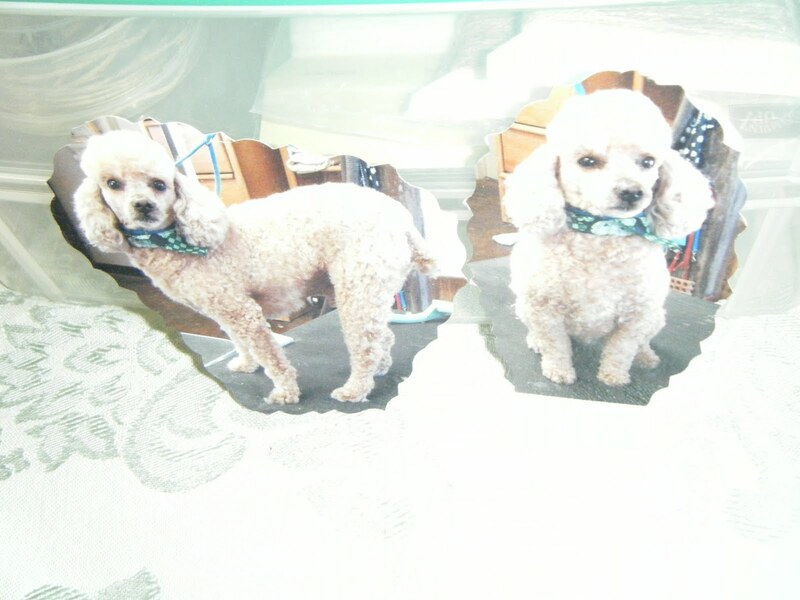 These are two extra photos which she gave to me. Doesn't he look sharp all groomed and looking handsome? He walks so proudly after being at the groomers. I love my poodle. Hello friends, I hope you don't think I am ignoring you. I took several days off to go visit my son and the family. I returned home for a couple days and then was gone again. 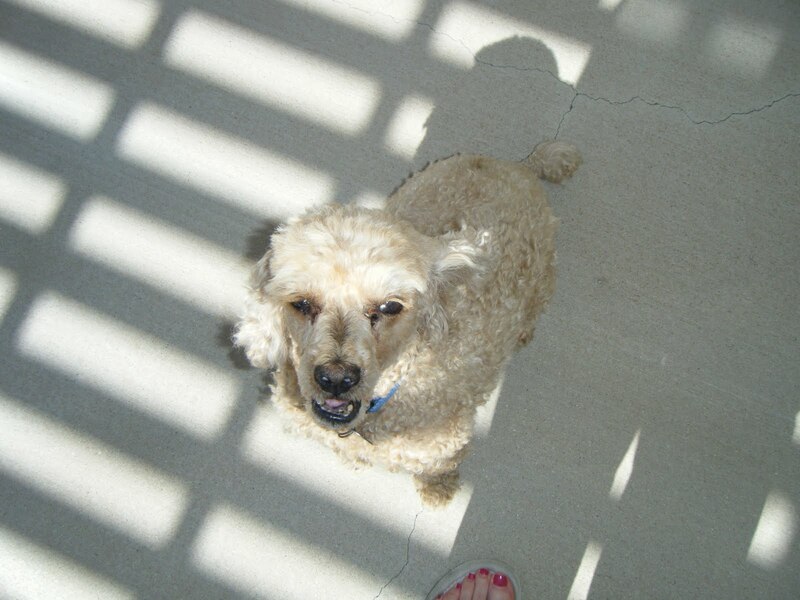 Pierre always waits for me at the kennel while I am away. They love having him stay with them and he knows it! They treat him like a king. I have to share my most unusual experience that happened on my way home from Northern California. I was traveling on Highway 99 southbound. The temperature for about four hours was 100. As I changed freeways to Highway 58, I noticed the temp dropping to 99. I don't know the altitude on the 58 but it is mountainous and probably in the 4000 ft. altitude. The temp began to drop as I continued down the mountain. After about 30 minutes the temp was in the 80's and suddenly it began to rain softly. Then it was hard rain and the temp is now in the 70's. Still going downhill and now the rain is so hard I can only see the car in front of me. The rain continues to pound when I notice the lighting hitting the mountain ridges. Eventually the temp dropped to 63!! Around that time it was time to change to the 14 Freeway. Now the rain started to slow down and in about 15 minutes there was no more rain and the temp was climbing upward from the 70's to the 80's and finally 99 as I got about 20 minutes from home. It was an adventure to talk about. Good morning friends, today I am sharing the card I made for one of my grand daughters. She will be ten years old this week. Coloring with the blender pens was a breeze. On the inside I adhered white cardstock with the hopscotch image and a personal image from me. This stamp set will come in handy for scrabooking. I love sets that do double duty. Here comes the shopping list. Good morning friends, I finished this card last night after bible study. I kept giggling while making this card as it is for my soon to be five year old grand daughter. You have to know her to know why I'm smiling. She loves bugs and can spot them from a mile away. This stamp set is retired but it's a keeper for me. 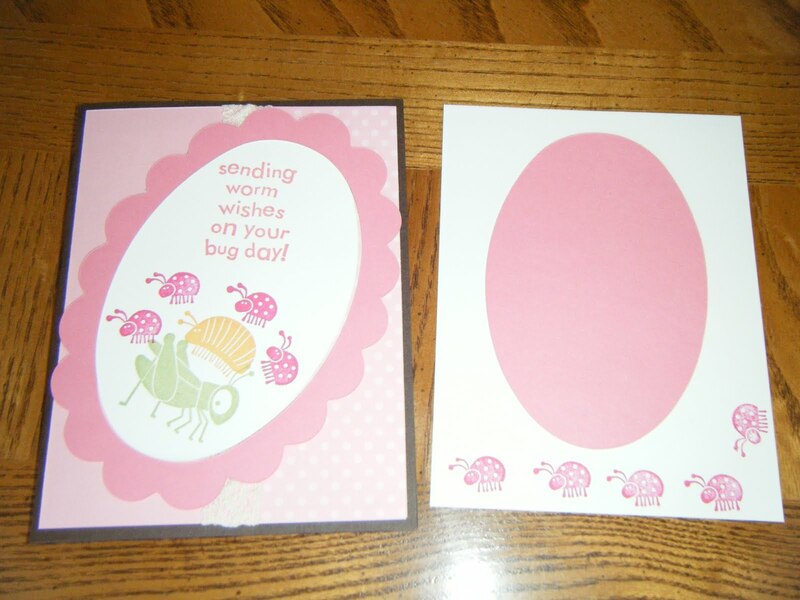 The inside of the card is on the right. All it needs now is my personal message to her. Are you ready for the shopping list? Here it is. Thank you for stopping by and for your nice comments. Have a blessed day. Happy Monday morning my friends. How was your week end? I had a very nice one. Shopping for produce on Saturday was productive and fun. I saw a former student of mine. She was in my first grade class. She is now an adult! Sunday, after church I saw another former student at a yogurt shop. Not only is he an adult but has already served in the armed services! Do I feel old. You think? Being in my air conditioned home has been such a blessing. You can't imagine how many times I have thanked God for all my blessings. Today's card share is a gatefold card. I used The Bold Blossom stamp set which can be found in the summer mini. My template was for a 4x4 card. I wanted a card for an A2 envelope. So I had to make adjustments on my own. Sometimes I need challenges and in the end I can really admire my work because of my efforts. The shopping list follows. Thank you for visiting, Have a blessed day. Good morning friends. How are you doing today? I'm still trying to recover from yesterdays huge surprise. If you have been with me this week, you already know my plumber was here earlier this month. Yesterday I had another specialized visitor. He repairs and maintains a very important "appliance" I use daily during the summer. Yes the A/C guy (air conditioning)! $700. later I have a working air conditioner. Thank you Jesus for my savings account. 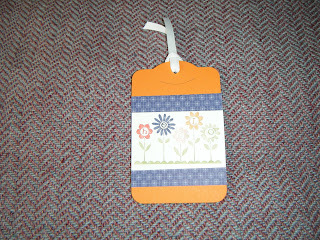 Now that I have vented, I want to share a book mark my ladies made. We featured the 2010-2012 In colors. The card base is in Peach Parfait and the DSP is Concord Crush. The stamp set is Hello Blossom. The inks are: Peach Parfait, Pear Pizzazz, Blushing Bride, and Poppy Parade. We used the Big Shot and The Two Tags die. White grograin ribbon tied it up. Have a blessed day today and I will see you again next week. 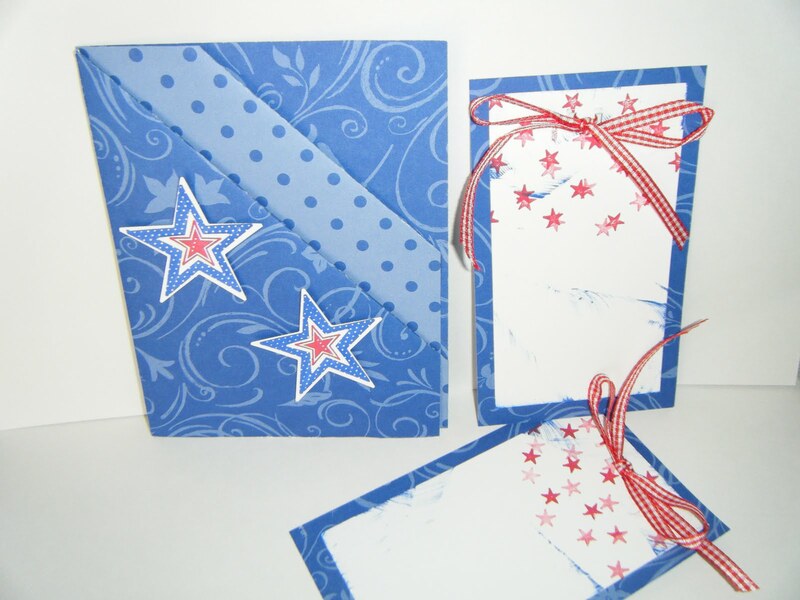 I need to get busy making more cards this week end. Happy Stamping. I decided to use the ribbon boxes for a card display for this card. I had been having a difficult time getting a good photo and guess what? 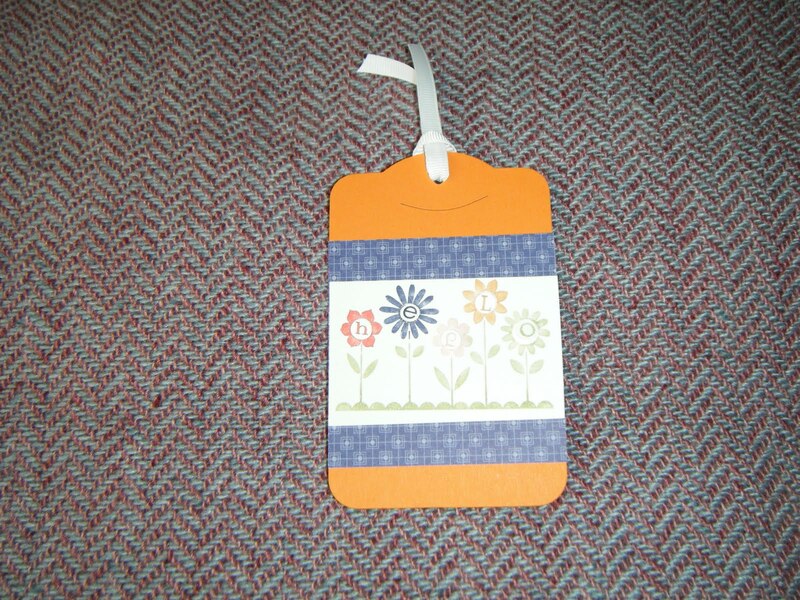 Voila, I stumbled upon this new backdrop for card displays. This card should look familiar to you Stampin' Up demos. 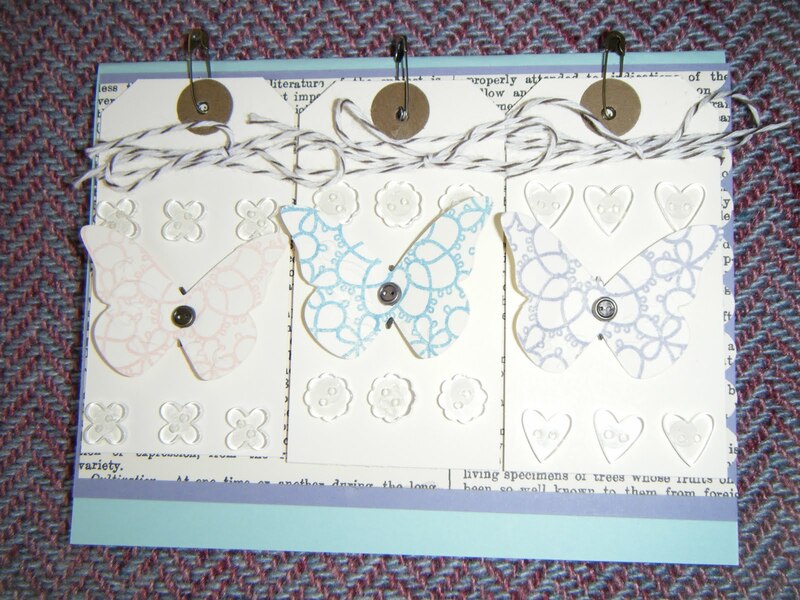 It was featured in April by Stampin' Up. I changed the card stock colors to make the card my own. The ribbon too. I hope you enjoyed my posts today. Have a blessed day. 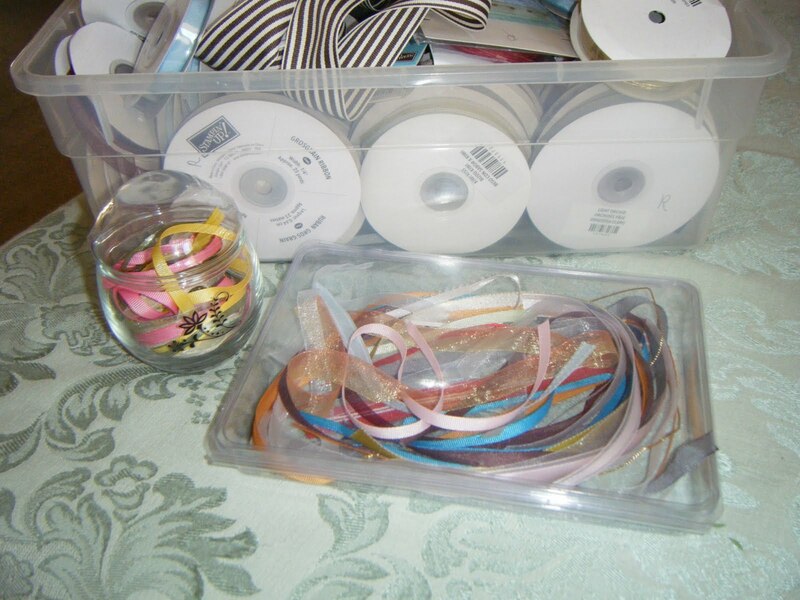 Here, in front of the retired ribbon box is how I store ribbon scraps. The plastic box on the right holds them in such a way that they are clearly visible to me. The jar on the left is an idea I use for hostess gifts. 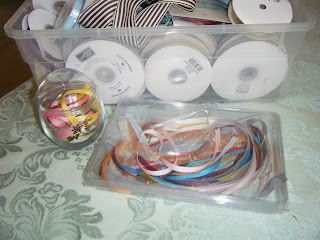 I find cute jars (dollar store) and fill them with about 15 yards of scrap ribbon. I also add a rub on onto the jar. Hello friends, today I am sharing some storage ideas I use. 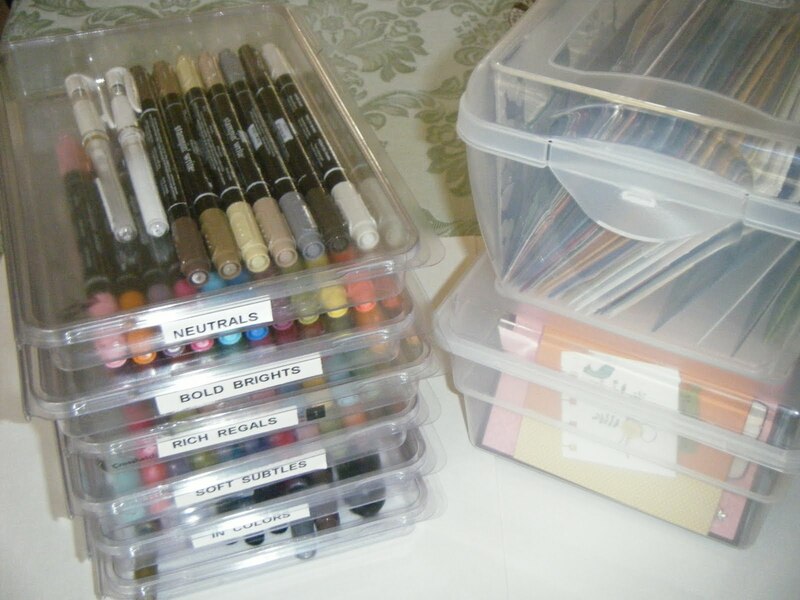 For my small supply of Big Shot dies, I only need this plastic container which is the size of a shoe box. Notice the light blue envelope? It keeps my sizzlets and embosslits. 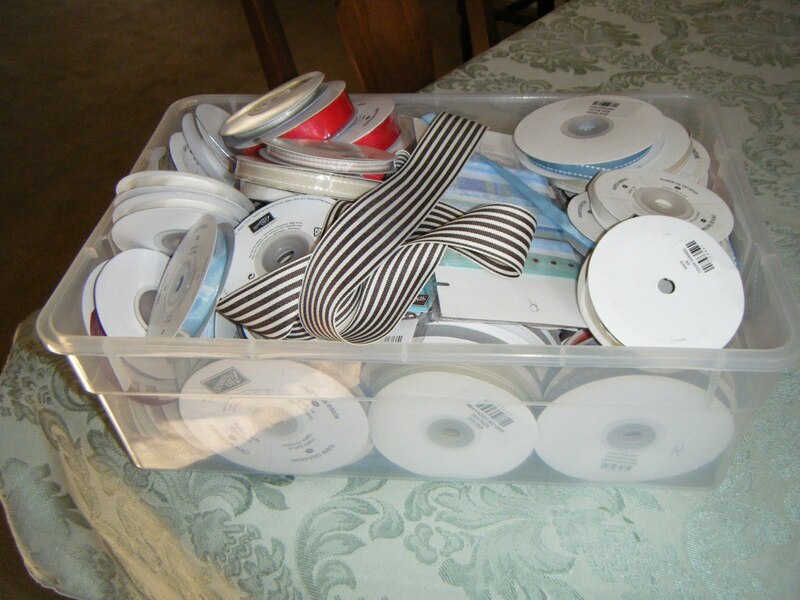 This storage idea works for me as I can move the entire box from place to place as needed. This black binder holds my card stock scraps in protective page sleeves. The scraps are sorted by primary colors. Larger scraps are kept in the their original package. Pattern papers are mixed in one sleeve. It's too difficult to sort other wise. Thank you for visiting today. Have a blessed Wednesday. Good morning friends, Ongoing with what I have been doing this summer. 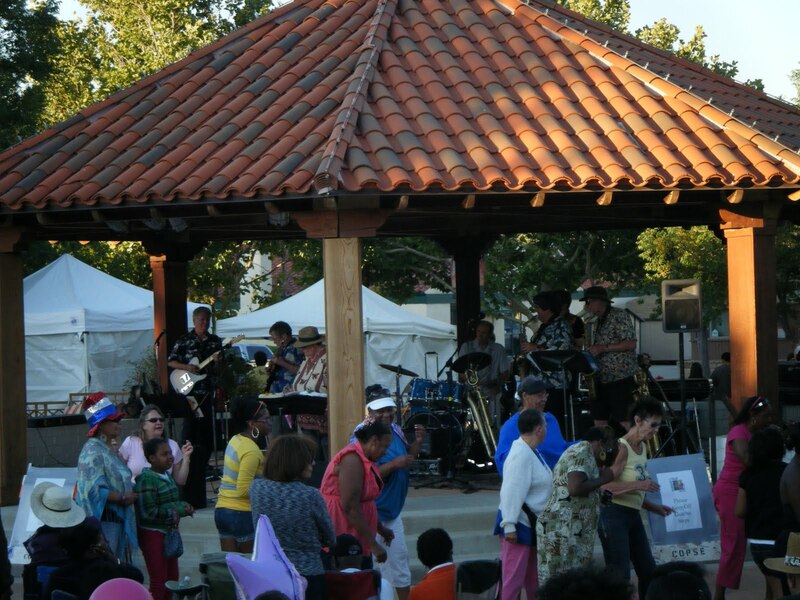 On Thursday nights here in Palmdale we have an evening outdoor concert that includes food vendors and vendors of various merchandise. Any one of my friends usually accompanies me for dinner and music at the Square. It starts at 5:30 PM and goes until 9 PM. There is a different band each week and thus covers a large array of music genres. As you see in the photo, dancing is encouraged too. They are line dancing or you might call it the Electric Slide. I love that activities for the children are emphasized and they change them up each week. Barnes and Nobles never lets the children down as they are over the top with their interactive presentations. On Saturday nights, Palmdale provides an other outdoor concert with big name artists coming to town. The venue is held in our awesome amphitheater. Just like at The Square, the amphitheater fills up with residents from around here and many out of towners too. I love sharing my summer with you and I hope you are enjoying it too. That's it for today. Have a fabulous Tuesday and be blessed. Hello again, This morning I was composing for this photo when it suddenly disappeared. In the past, I have been able to retrieve the photos but not this time. So I uploaded it again and am starting over. 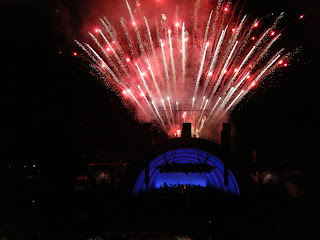 Just wanted to share this one shot I took of one of the most fabulous fireworks shows I've ever seen. The Hollywood Bowl always has fabulous firework shows and their concerts are of course outstanding. Outdoor concerts with friends, what more could I as for!!! Thank you for visiting today. I'm off to the dentist. Stay tuned for more shares. God bless. These are the note cards that fit nicely into the front pockets. As I remember it, the folding part was a challenge. I hope you have enjoyed today's posts. It feels good to be back with you. Thank you for visiting. God bless you.